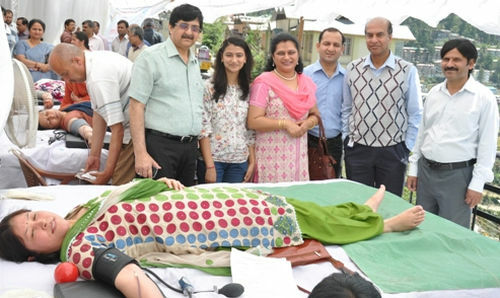 Satluj Jal Vidyut Nigam Limited (SJVN) celebrated its 26th Raising Day and to mark the occasion, it organised Blood Donation Camp at Shimla, in which 83 units of Blood were donated by SJVN employees and their family members. This Blood Donation Camp was organized with association of Ladies’ Club and Executives’ Club. The Camp was inaugurated by Lalita Sharma, Chief Patron, SJVN Ladies Club. 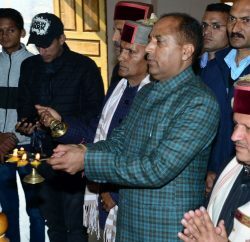 Sharma honoured the donors in the Camp and appreciated the enthusiasm and response of the donors and thanked them for their valuable contribution to the society. A.K. Mukherjee, GM, S.P Pathak, GM, Anil Gupta, AGM, D. Wadhera, AGM & Shalil Shamshery, AGM were also present on this noble occasion. Mukherjee informed that to promote this act of humanity mementos will also be given to all the donors on 19th May, 2013 at a function. 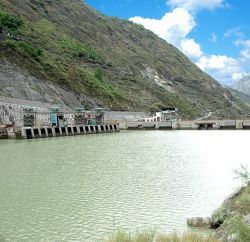 He further told that SJVN has been organizing the Blood Donation Camps for the last five years at Shimla besides at its projects. During the last year’s camp more than 100 volunteers had donated blood. Among the donors were many who regularly donate blood and reach out for helping the NGOs in times of need. 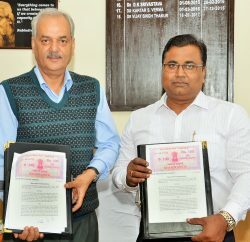 Some of them were, Saurabh Raj Sood, Sr. Engr. HM Design who turned up for donoting blood for the 52nd time, V.P.S. Jaswal, AGM (Archt.) for the 30th time and Anjali Sarveshwar who has already donated 21 times. Dr. M.L. Kaushal, Dr. Nishi Jaswal and their team from Blood Bank, Indira Gandhi Medical College, Shimla with the help of volunteers from SJVN Limited, conducted the camp. The camp is part of Raising Day celebrations being organised at all the project sites and offices of SJVN Limited.